Because of my busy schedule and corralling my three young monsters, I don't have a lot of time to read. While we were on vacation though, I made it a mission to finish a book. It took me all week but I did it. 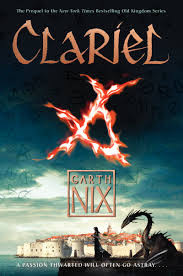 The book I chose to immures myself in was by Garth Nix called Clariel. I had been waiting for this book for a long time. There are three other main books in the series that I absolutely loved, along with a few short stories and novelettes. Clariel is a prequel that addresses the issue of Charter magic vs. free magic. It's a very interesting concept that wasn't fully explored in the previous books. The writing was amazing. Chocked full of description and world building. You get the sense that you are in the Old Kingdom while Clariel is thrust into a world that she knows nothing about. The beginning was a little slow. I didn't really get a sense of story until about the sixth or seventh chapter. 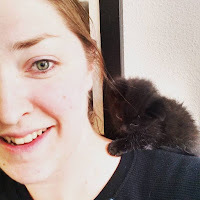 After that the main character kept getting into trouble, but just when you thought she would find a way out of it on her own, someone swoops in to save her. So, Clariel's character never really fully develops in my opinion. She is such a strong person and has a lot of her magic side to explore, but you never really get to that point. With that being said. I love anything that Garth Nix writes and would recommend this book if you have read the rest of the series. It gets a 4 out of 5 stars for me.